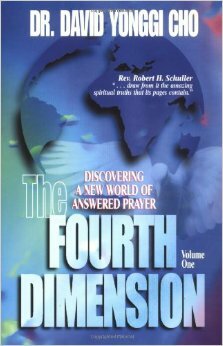 Review of Fourth Dimension: Ch 1 – How blind Bartimaeus birthed his eyes through prayer? Home › Yoido Full Gospel Church › Review of Fourth Dimension: Ch 1 – How blind Bartimaeus birthed his eyes through prayer? Over the last number of articles, we have examined how “Dr” David Yonggi Cho has made up his own theology through his delusional experiences and misapplication of scriptural passages. Please note: NOTHING so far has even closely supported or justified David Yonggi Cho’s theology. Rick Warren of Saddleback Curch. To make sense of this article, it is necessary to read our previous articles exposing how David Yonggi Cho has further progressed into a belief system that does not reflect the historic Christian faith. “Until that time I had always prayed in vague terms, but from that time until now I have never prayed in vague terms. If God were ever to answer your vague prayers, then you would never recognise that prayer as being answered by God. You must ask definitely and specifically. The Lord never welcomes vague prayers. When the son of Timaeus, the blind Bartimaeus came running after Jesus Christ, he cried, “Oh, thou Son of David, be merciful to me.” Although everybody knew that Bartimaeus was asking for the healing of his blindness, Christ asked, “What do you want me to do for you?” Christ wants very specific requests. Bartimaeus said, “Sir, I want to see.” Jesus replied, “It shall be done unto you as you believe.” Bartimaeus opened his eyes. Source: David Yong-gi Cho, Incubation: A Law of Faith, The Fourth Dimension (Vol 1), Published: US, Bridge-Logos Publishers, 1979. Pg 8. 1. The cripple did not ask for Jesus to heal him at the pool, and resented his healing. (John 5:1-17). 2. Dead men can’t pray. Jesus raised Lazarus from the dead (John 11:38-44). See Jairus’ daughter who was also raised from the dead (Mark 5:21-43). 3. The Legion-possessed man did not pray or ask for deliverance but was delivered (Mark 5:1-20). There are so many examples of this that David Yonggi Cho should be ashamed of his biblical ignorance on such matters. This passage is a bad example of his idea that we are to birth our miracles.